What is a Soaker Robes™ you ask? Soakers Robes™ are lightweight cool-down coats designed to assist in reducing your dog’s core body temperature. By reducing the core body temperature, it will reduce the risk of heatstroke. 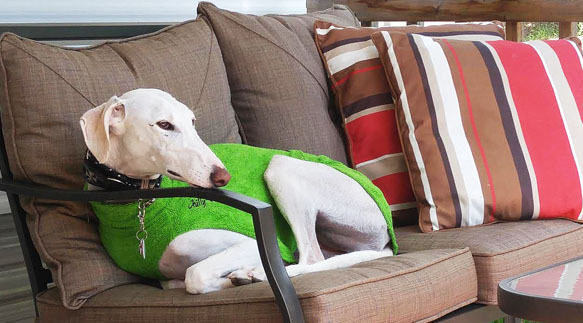 How it works: when the water evaporates from the Soaker™ coat fabric, it causes a cooling effect and therefore reducing your dog’s body temperature. 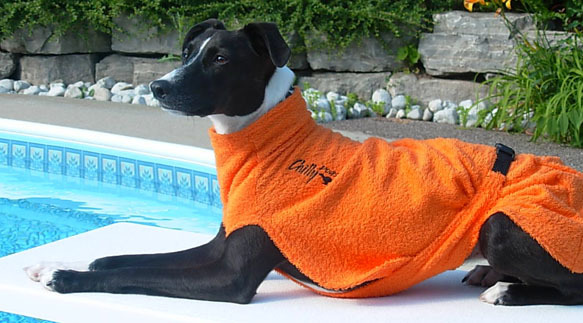 Our unique design covers the dog's back as well as under the neck and chest area. By cooling the underbelly area, it significantly improved the cooling effect on the dog. WOW is it hot out there! 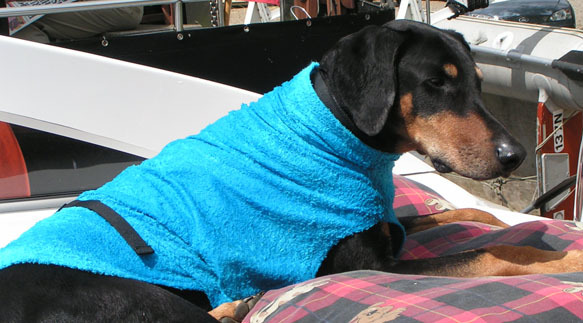 Don't let your dog get over heated this summer. 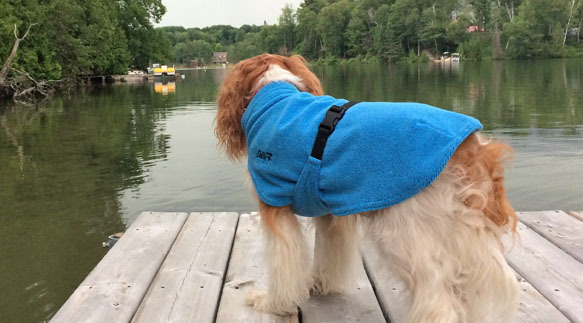 Wet use: Long hot car rides, camping, cottaging, agility, conformation events and whenever the risk arises where your dog may get over heated. To wet the Soaker™, immerse in a basin of water or spray wet with a water bottle. 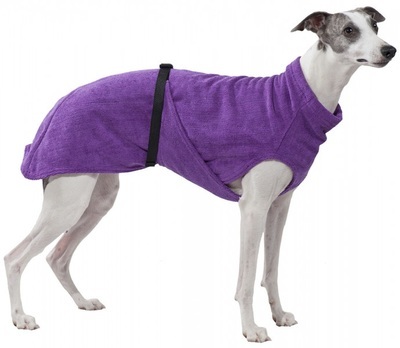 Ring out excess water from the coat and place on your dog. To keep Soaker™ wet during use, spray with water bottle. Wet, muddy Spring days or bath time! Dry use: After swimming, bathing or therapy pool sessions. A secondary use for the Soaker™ is when worn dry. The ultimate after bath or after swim solution! 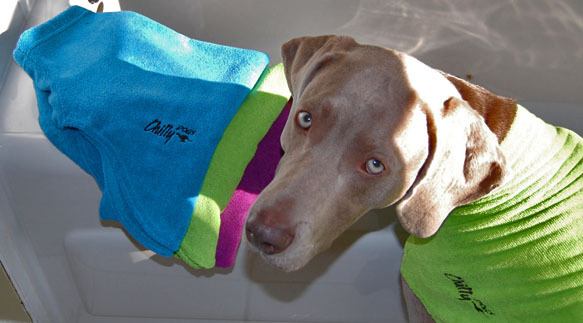 Slip the dry Soaker™ onto your wet dog and the absorbent micro terry cloth will wick away moisture and speed drying time. Now the furniture stays dry and Fido is clean! Comfortable and absorbent Micro Fiber Terry Cloth.